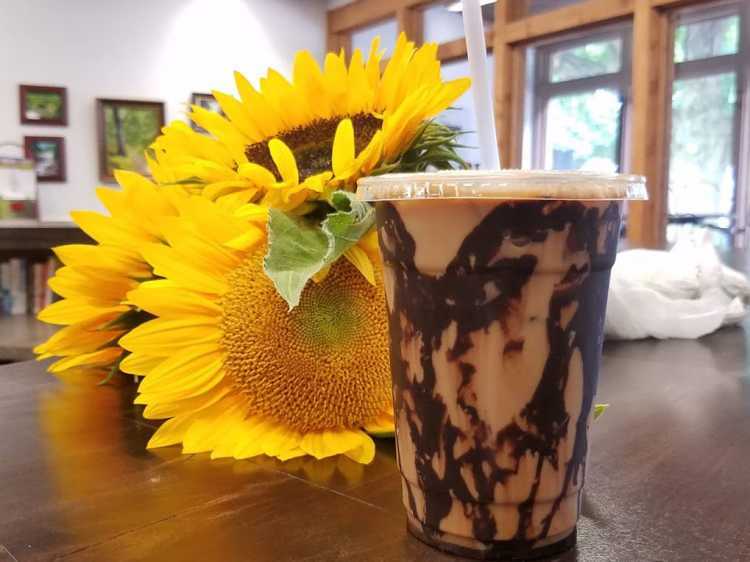 Located right on Main Street in Mooresville, this family-owned coffee house serves up coffee and espresso drinks, plus a wide variety of yummy baked goods. They&apos;ve even got gluten-free, dairy-free and egg-free items to choose from. Accompany your coffee with a slice of cake, pie, muffins, scones... even ice cream! Even the tiny town of Morgantown has great coffee! This locally-owned coffee shop features more than just a cup of joe - they&apos;ve also got breakfast items as well as lunch offerings. Don&apos;t miss their homemade soups on a chilly day! This brand-new coffee shop in Monrovia offers up gourmet coffee in a comfortable, relaxed atmosphere, but that&apos;s not all! They&apos;ve also got tasty daily specials including breakfast and lunch options like muffins and hearty soups! This local coffee bar is the ultimate in feel-good spending. Located inside The Main Connection on Main Street in Martinsville, the profits from the coffee bar support local charity organization Stability First and the Magdalene House, a residential program for women in need of a fresh start. While you&apos;re there picking up a latte, frappe or iced coffee, be sure to check out their collection of Maggie Bags. Another great option in Mooresville, The House is more than just a coffee bar. They also serve up breakfast, lunch and dinner! House favorites include Almond Joy and Cinnamon Roll Lattes, as well as all the standard flavors. Enjoy your coffee, and if you&apos;re in need of more than a quick caffeine fix, be sure to browse through our listings of locally owned restaurants as well.